It’s a winter wonderland out there! You’ve bundled up and have your equipment ready—you’re geared up and ready to hit the slopes! Before you speed off, the team at Young Insurance wants to give you a few tips on keeping yourself and those around you safe while you have fun skiing or snowboarding. Be prepared. Make sure you’re prepared for winter weather. Dress in layers—wear waterproof and wind-resistant gear, including a hat and gloves or mittens. Also, it’s important to wear some sort of eye protection. With the glare from the sun shining off the snow and wind whipping around, you’ll have much better visibility with a pair of goggles or sunglasses. Ensure gear is fastened properly. It would ruin your day of fun if your skis or snowboard feel uncomfortable or come loose during a run. Be sure your bindings are adjusted correctly before you head out. Ski shops or rental stores will be able to assist you. Don’t get dehydrated. We associate reminders to drink enough water with playing summer sports, but you’re going to be working hard and sweating on the slopes too. Be sure you’re drinking enough water to stay hydrated. Be ready. Always keep in mind that there are other people on the hill or mountain. Be sure that you are ready to slow down and are prepared to avoid objects and other people. Never get to the point where you don’t feel in control. If you aren’t yet confident that you can be in control of your skis or snowboard 100% of the time, do some training with an instructor. Stay alert. The best way to prevent accidents is to always be aware of what is going on around you. Along with changes in the weather you should be cognizant of, be sure you keep alert of what people around you are doing, so you stay ready to pass safely, slow down or move out of someone’s way. Plan ahead. Plan any move you are going to make ahead of time. Always check uphill if you’re going to merge. Give other skiers and riders plenty of room if you are passing them, and remember that people in front of you have the right of way. Always be checking for blind spots or places where you can’t see what’s coming next, and slow down to compensate. While protecting yourself, those you love and your fellow skiers and riders is most important, we want to be sure you’re protecting your assets as well! Skis, poles, snowboards, bindings and boots are expensive equipment. We recommend insuring them in case of damage or theft. If you’re planning to travel far from home and need to cancel your trip because of weather or an emergency, we can insure you so the cost of your accommodations, lift tickets, equipment rental and other costs will be reimbursed. We can also offer you protection in case of an accident or illness. Contact us to learn more! 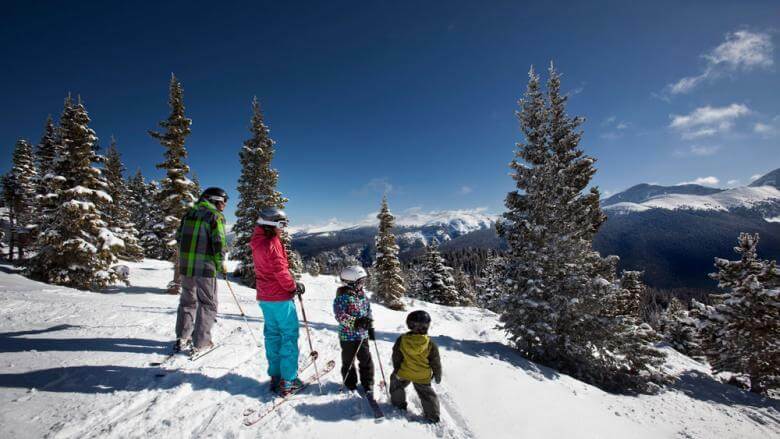 Whether you’re an avid and experienced skier or snowboarder, you just like to have fun on a bunny hill, or somewhere in between, we hope you stay safe and have a blast enjoying the great Colorado outdoors!